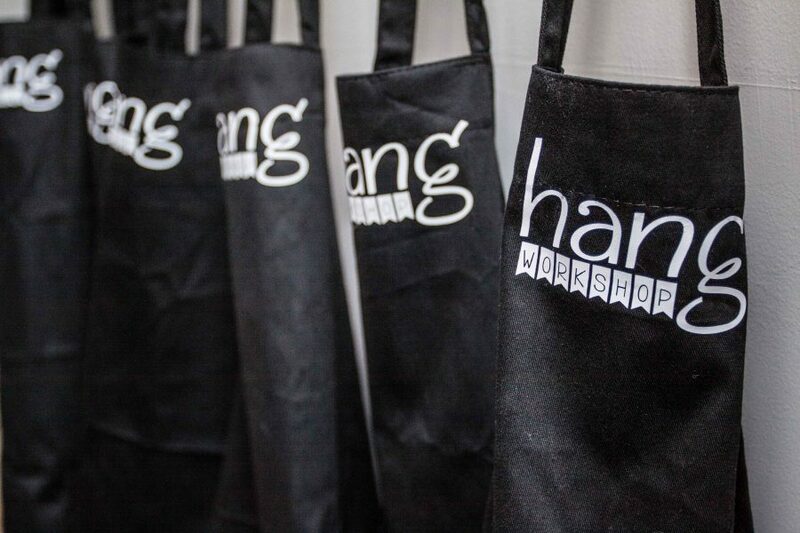 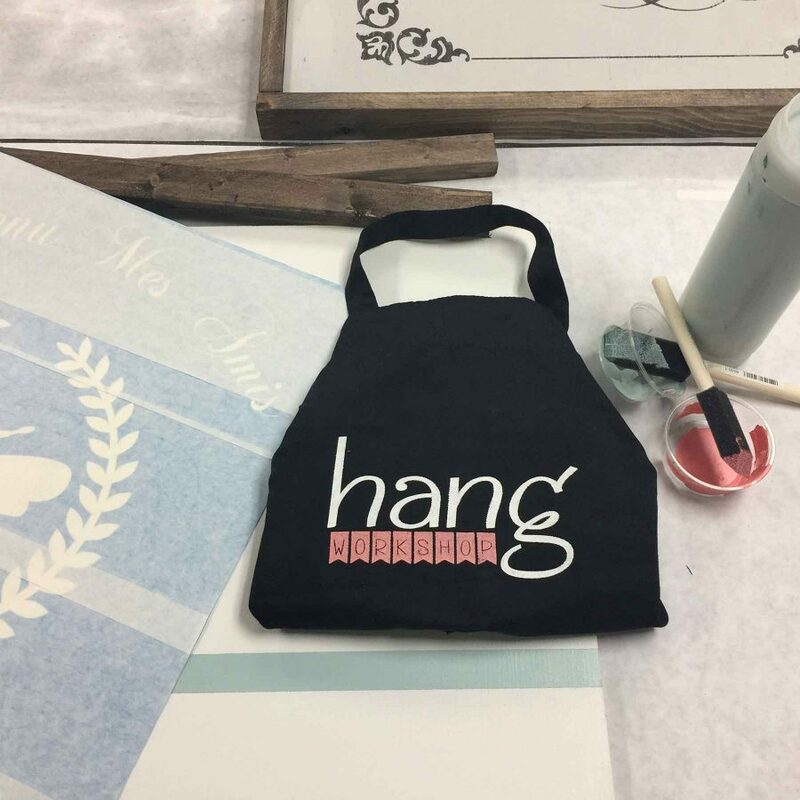 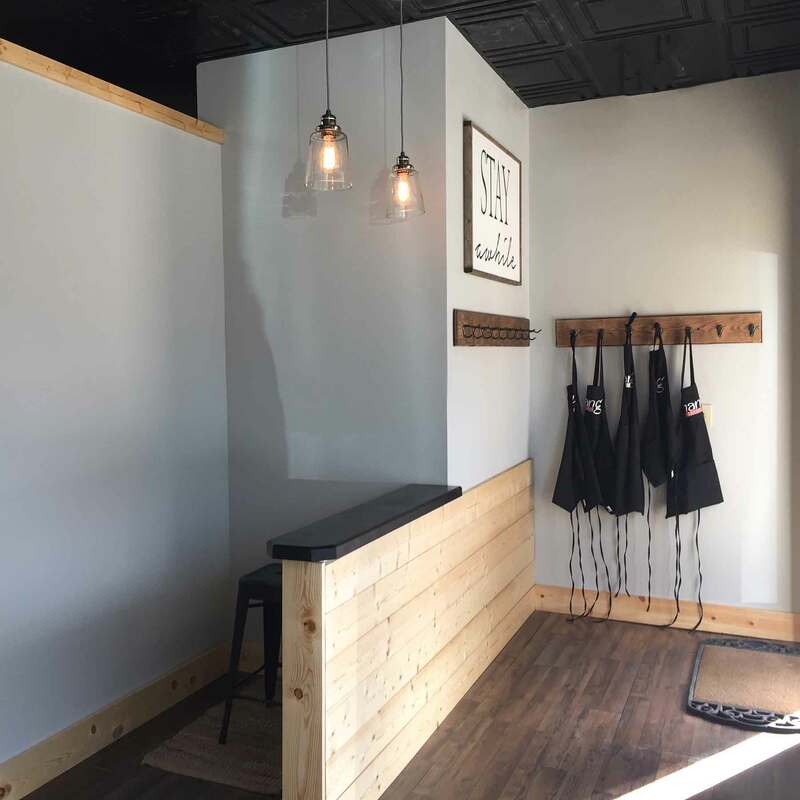 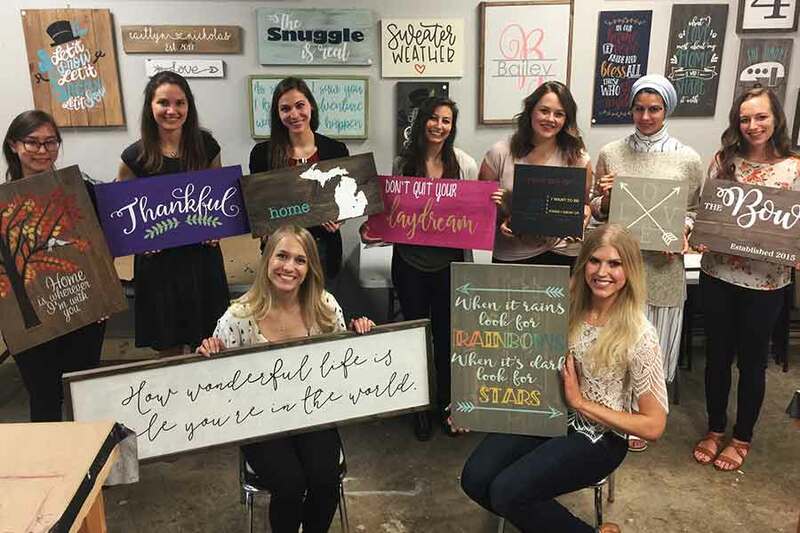 Hang Workshop is the trendy wine and paint venue in Traverse City everyone’s talking about. 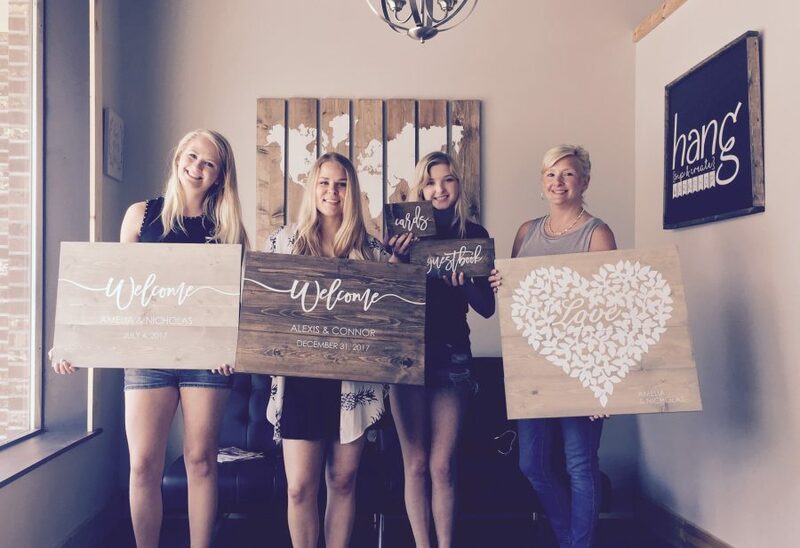 Here you will find the perfect wine and paint venue for your wood sign or creative arts and craft project. 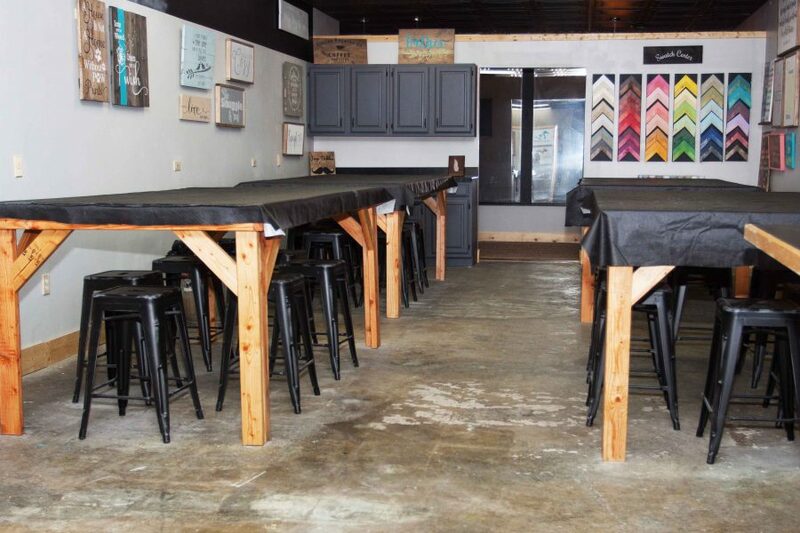 With over 1100 square foot of studio space there is ample room for large private parties. 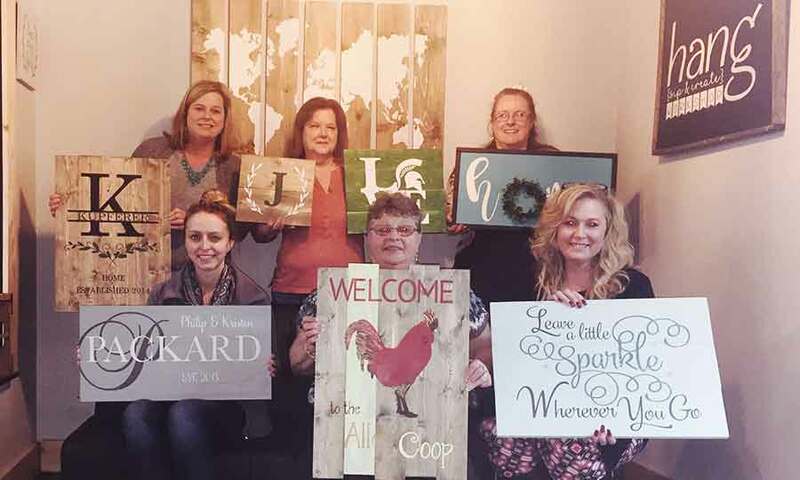 Up to 30 people depending on the size of the project. 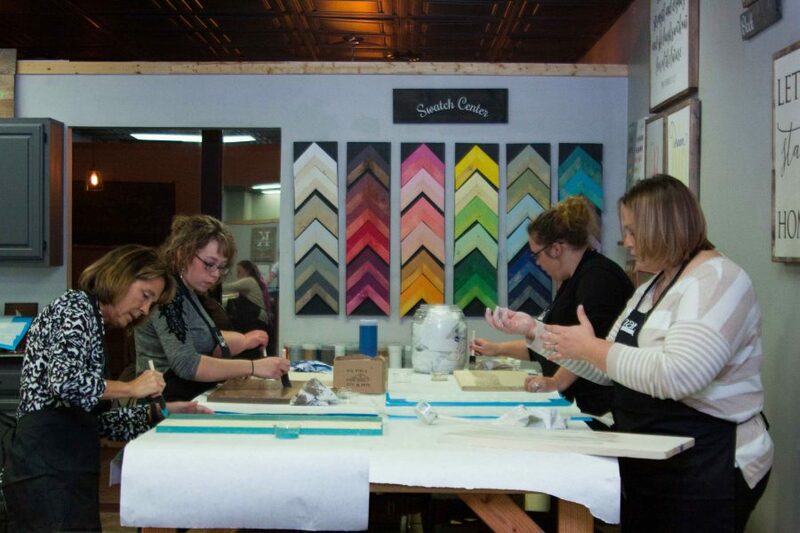 The boutique feel of our wine and paint venue is inviting. 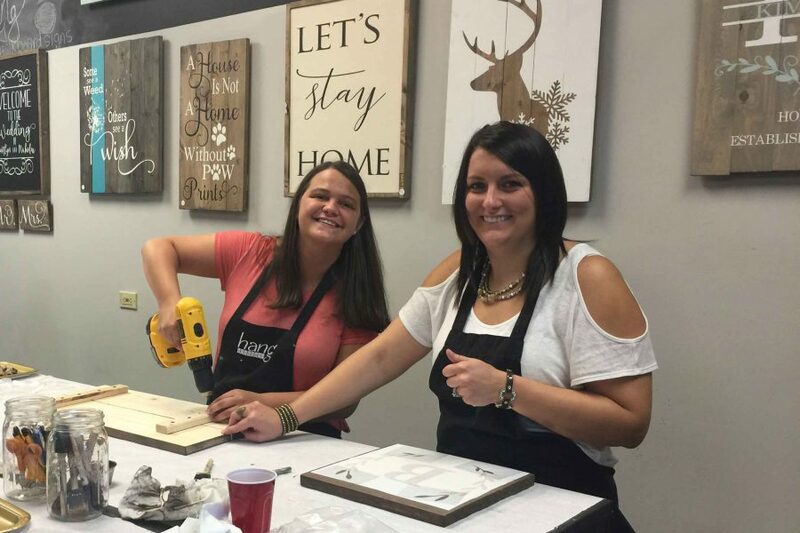 Your guests will remember the wine and paint event for a long time to come. 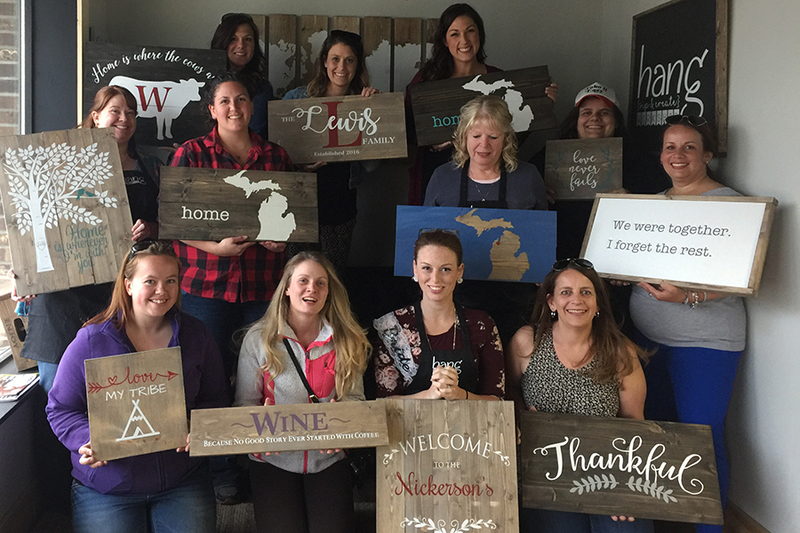 For smaller groups of 5 or more, book a private table at one of our public wine and paint classes and enjoy an exclusive serving area for BYOB wine, cake or other beverages and snacks. 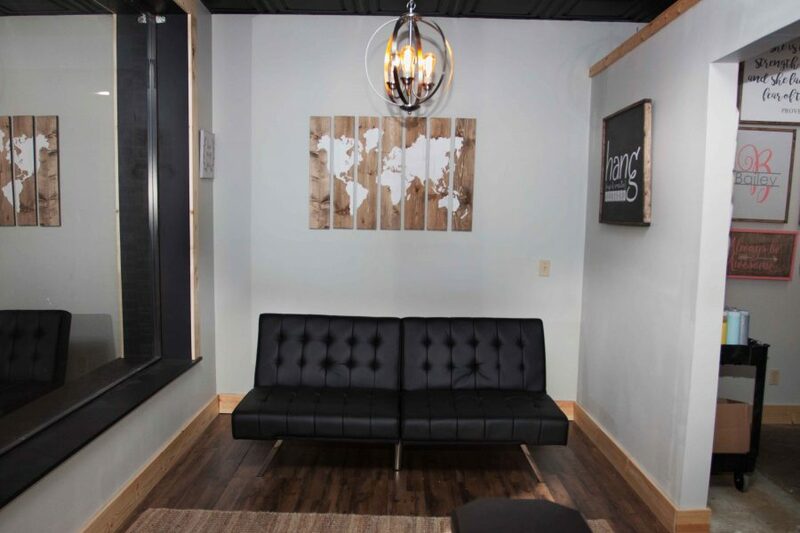 With two serving areas and a tastefully decorated lobby, you will be able to relax while socializing with friends and colleagues. 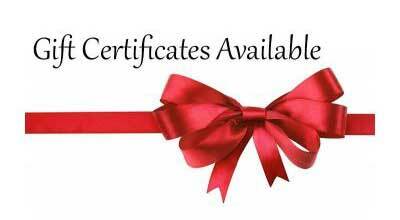 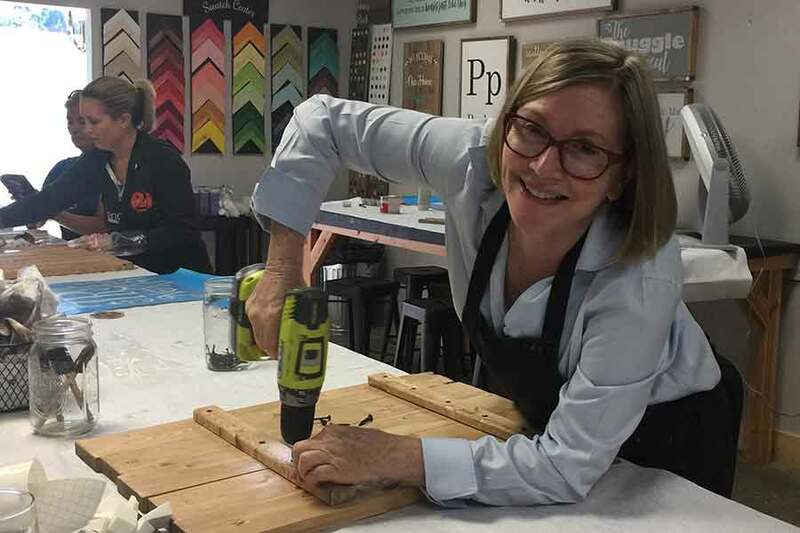 Viki Simons, owner and instructor has 14 years of decorative painting instruction experience and supervised the art department of a chain of art and craft stores. 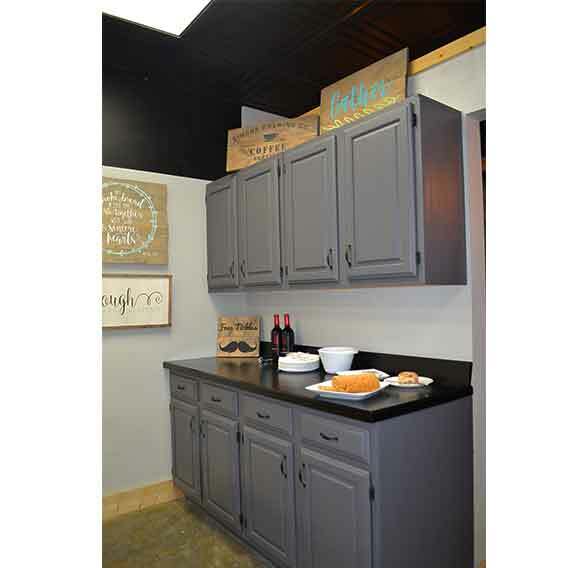 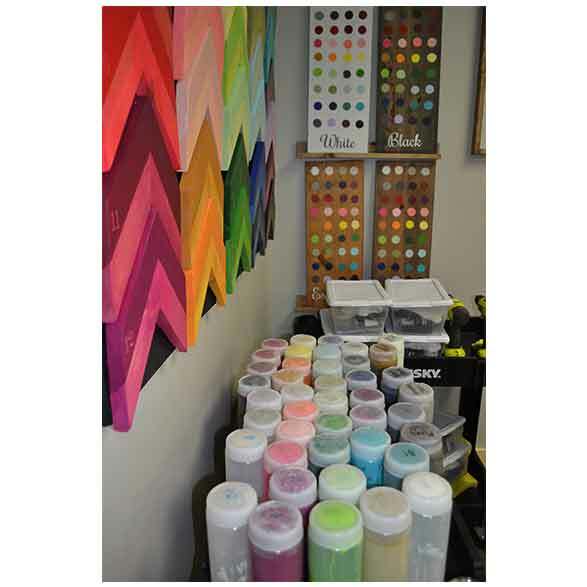 She gained experience producing samples for designer paint lines and faux finishes. 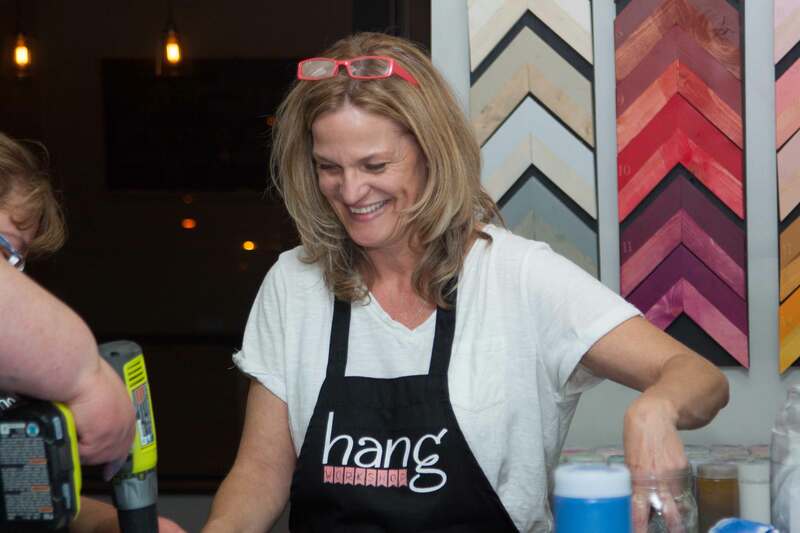 She conducted seminars teaching furniture painting, decorative painting and other items for the home. 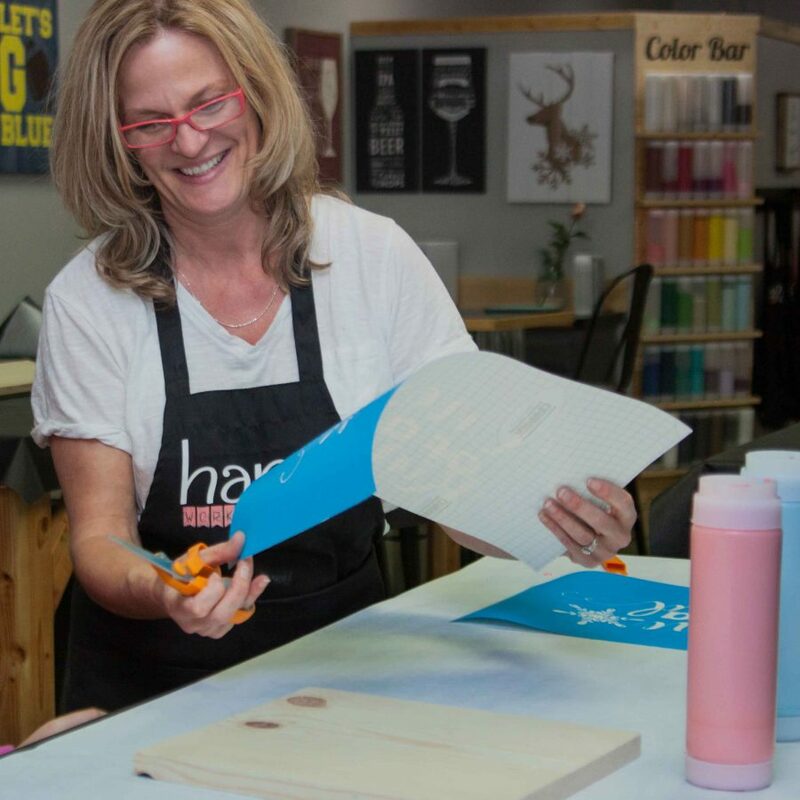 She enjoys getting the whole family involved in arts and craft projects around the house and loves living in beautiful Traverse City where art and nature are all around. 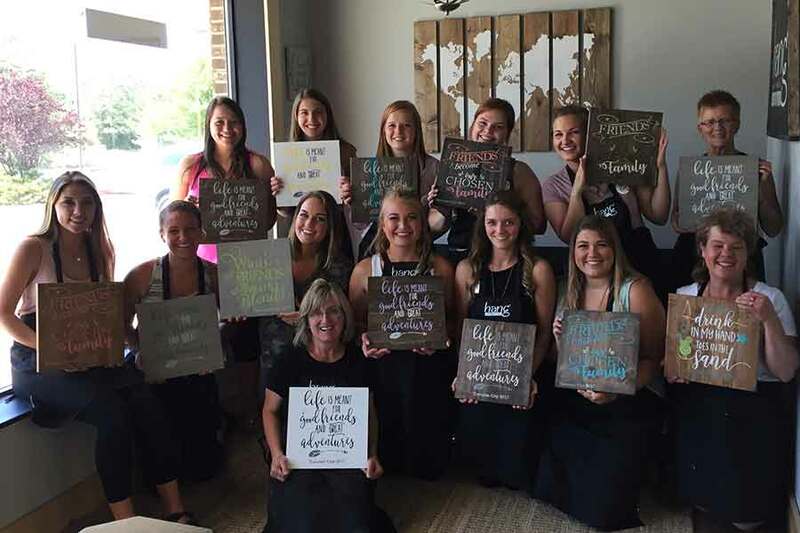 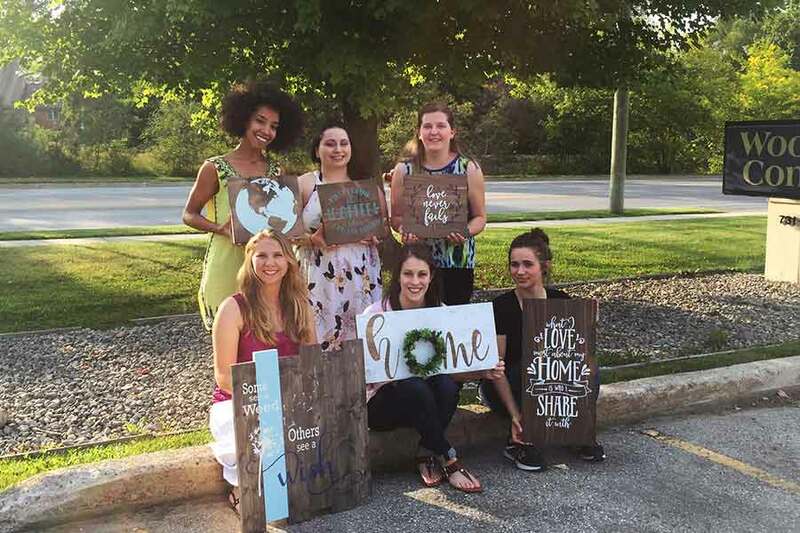 Viki and her team of talented instructors enjoy teaching in a new way where novices can complete art that’s truly beautiful in a couple of hours while engaging in a really fun and social wine and paint event.